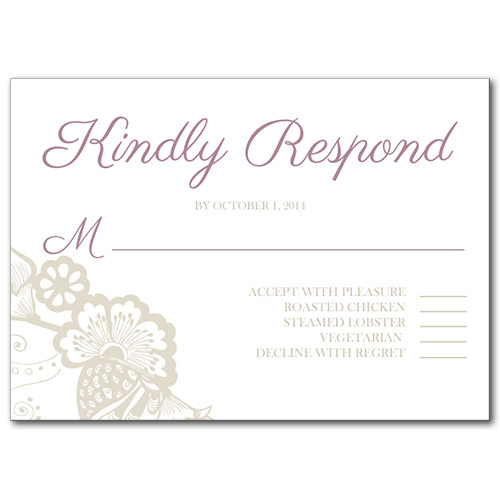 Our Blissful Garden response cards blend soft pastel hues with the intricate detailing of blossoms. Soft purple shades give it a bright look, making this save the date ideal for spring weddings. Each flower is done in a pale grey tone to create a beautifully display that doesn't overpower your message. Customize this card to make it your own with your message and choice of wedding font. Blissful Garden Response Card For the best experience, we recommend personalizing your stationery on a desktop computer.